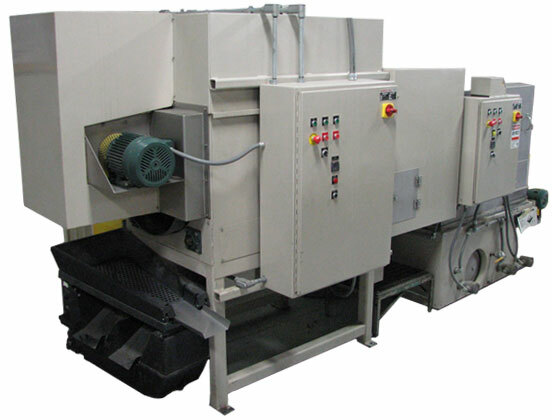 When part-on-part contact isn't a concern, a rotary drum parts washer can be an excellent fit for high-volume or continuous processes. Parts are both submerged in liquid and sprayed via nozzle equipped manifold as they pass through the cleaning drum chamber. Because these units feature complete feed-thru operation, parts can be fed directly from the washer section to a rotary drying system if necessary.